Run your way to 21.1 kilometre glory with this 10-week, time-based training plan! 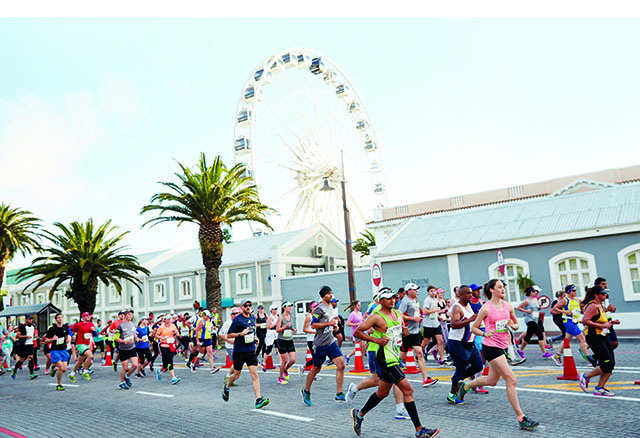 The humble half marathon – it’s a true test of fitness, endurance, and speed, meshed all together. Ready to take on the challenge? Garth Dorman, running coach at Embark (embark.co.za), created this plan for the Two Oceans Half Marathon. It can apply to any level of runner, whether you’re looking to PB or finish your first half. Begin training only once you’re comfortable running three to four times a week, with a total weekly mileage of 20 to 30km. Click here to download your PDF programme.